And so, a little like the start of our year long road trip to Tierra del Fuego from Toronto and Alaska of a few years ago, we made our plans to head out West to Canmore, Alberta. Our vehicle of choice was the very same dependable Acura MDX that took us safely the entire length of the Pan-American Highway and back. But that is another story http://junglavista.com/. This unique opportunity arose as my rock-climber son decided to focus his mountain safety consulting initiative (www.mountain-solutions.net/ ) temporarily back to his home town of Squamish B.C. Sean had a month lease still open on the cabin so we happily agreed to take it over. Jeanne and I both love the drive west which we have done several times now and we took the scenic route out through Timmins and then north of Lake Superior along the Trans Canada. It was nearing the end of August and the weather for the entire journey and trip was ideal – perfect temperatures – sunny and warm. The cabin – well, the log house, is surprisingly beautiful and spacious. Nestled right in the actual town Canmore this home has lots of large windows, several bedrooms, roomy kitchen, living room with an eye catching view of the surrounding mountain ranges. It also has a projection-room, an office, not one but three fireplaces, front and back porches and a welcoming backyard hot-tub. Actually, the house is so large I did not realize until a couple of weeks later that a young lady lived in another section of the house – when I eventually met her she said that she hoped that her music was not too loud for us – we never even heard it. Another delightful young lady Tana lived in one of the bedrooms, but we hardly ever saw her. Each and every day was a new adventure – we set goals and destinations of places and trails to hike. 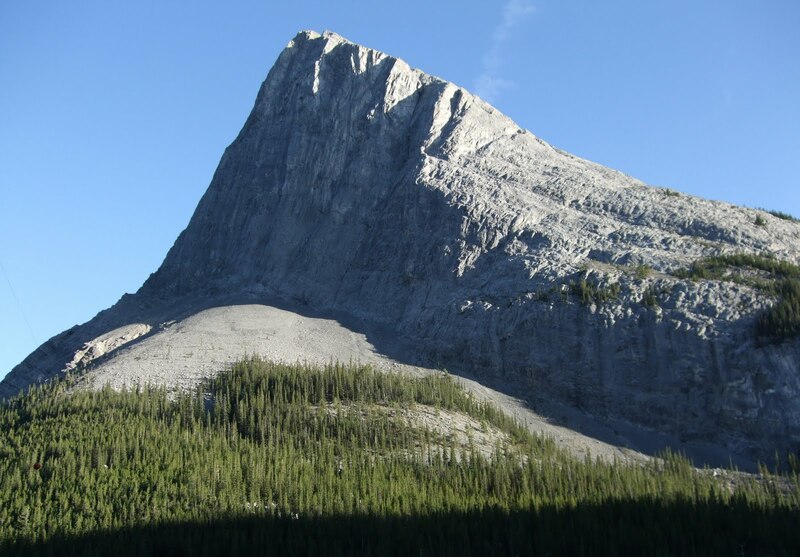 On our third day there, we climbed the back of Ha Ling Peak all the way to the summit for a breathtaking view out over the Bow Valley and town of Canmore. Another day we hiked up to the Tea House above Chateau Lake Louise. Then there was a three day side trip up the Ice fields Highway to Jasper where we stayed two nights by the Athabaska River in a quaint cabin at the Alpine Village http://www.alpinevillagejasper.com/ We were visited by a magnificant and massive Elk. At last it was sadly time to return home. Canmore is a wonderful place. We travelled back east through Montana, North Dakota, and Minnesota, up the west Shore of Lake Superior into Canada; then back along the TransCanada Highway to Toronto. The memories of all the fascinating places we visited and people that we met are still very much with us. Who knows what adventures still lie ahead.